A musical exploration of the field of hope: from the flower comes the fruit and the fruit gives rise to the seed, which sets off on its journey towards new life. The music of the present-new, restless, and ready to germinate new seeds-spings from the seeds of the past. 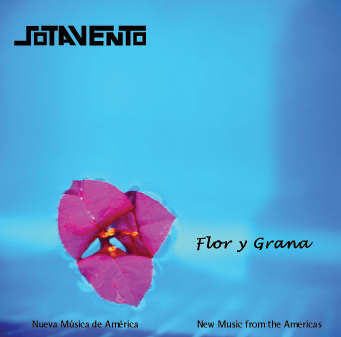 Described as a mature and balanced work by Sotavento, this recording includes well crafted arrangements from the Venezuelan, Puerto Rican, and Brazilian repertoire, in addition to Sotavento's innovative compositions. 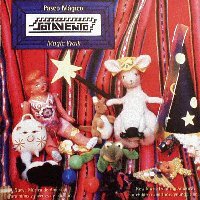 For children of all ages, this is the first children's album written almost in its entirety by Sotavento. Sotavento's approach to kids' music is entirely different, focusing the material as to treat the audiences as young adults capable of listening to complex but beautiful music. 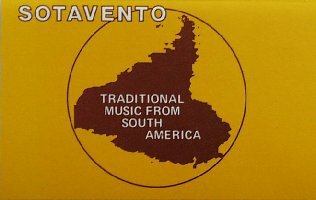 Sotavento uses their expertise on Latin American rhythms and musical traditions to provide a magical musical tour of the Americas. The lyrics entice the listener to free the imagination and to join the characters of each song in a magical voyage. 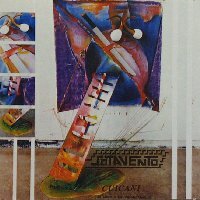 "Tal Vez mixes syncopation and textures to express a singular full control of Sotavento's unique folk fusion. In Tal Vez, the group demonstrates once more an interest in expanding its repertoire and challenging staid notions of what a folkloric group should be. Eclectic, this recording is perfectly at ease with a wide variety of folkloric traditions while continuing mixing different strong rhythms with meditative songs of the heart and soul." "El Siete is a joy to listen to and live with. Don't forget about it. Don't pass it by. Seek it out. "Joseph Guida, KVMR Radio, California. El Siete contains Latin American rhythms developed with classical and jazz elements, resulting in some very sophisticated music. There are two vocal pieces based on the work of the great poets Nicolás Guillén and Pablo Neruda. The pieces range from upbeat and danceable to more complex and introspective. The album is wonderfully rich and emotional. "A real folkloric tour of Latin America" Billboard Newspaper. 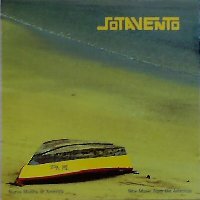 Reflecting the makeup of Sotavento's concerts, the recording includes instrumental and vocal repertoire and includes South American folk songs as well as Sotavento's compositions. This recording consists entirely of Sotavento original compositions. It is entirely instrumental - no vocals. The compositions combine elements of Latin folk, jazz and classical music. Overall, the recording has a jazzy, contemporary sound with pieces ranging from very energetic and upbeat, to smoothly danceable to calm and contemplative. This recording consists primarily of traditional folk music from various South American countries featuring Andean instruments such as the Andean sikus (panpipes), quena (wooden or cane flute), and charango (small, armadillo shell guitar). There is one Brazilian and one Sotavento composition. The recording is very upbeat, very danceable. 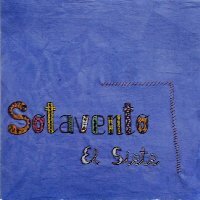 This is Sotavento's first album. 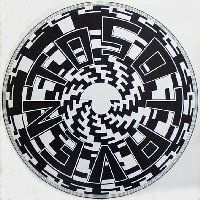 All the songs in this LP were written by the group since its origins up to the release date. 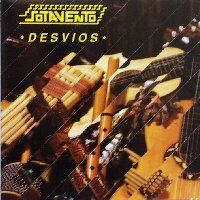 It is a mostly instrumental in which shows Sotavento's strength and willingness to take chances and mix different elements of not only Latin American rhythms and instrumentation but also elements such as classical and jazz. (Available only upon request on CD).